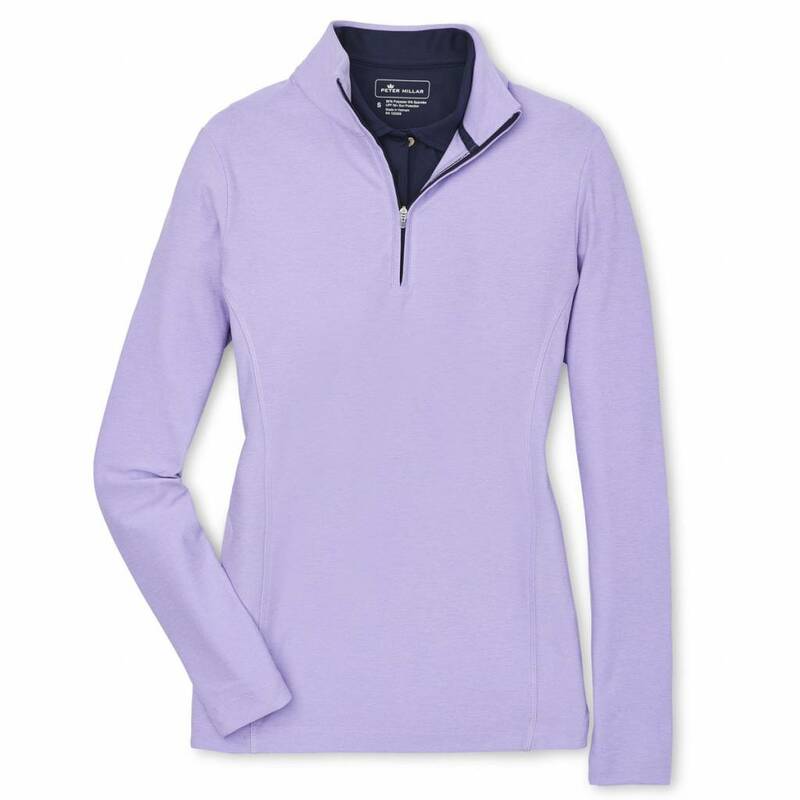 Our highly lauded performance quarter-zip in an elegant cut for women. This versatile style is made from stretch terry mélange fabric that’s breathable and provides a smooth lustrous, color-rich finish. Features moisture-wicking and UPF 50+ sun protection for active comfort. Styled with mock collar, elongated waist for coverage and quarter-zip closure.